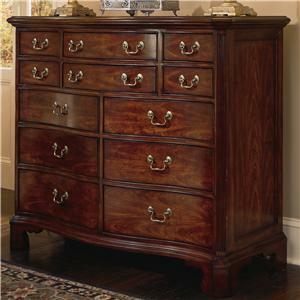 Bring an elegant accent to your home with the 12 drawer chest. 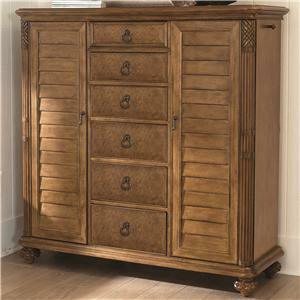 Traditional in design and style, beveled detailing and bracket feet accent the chest. 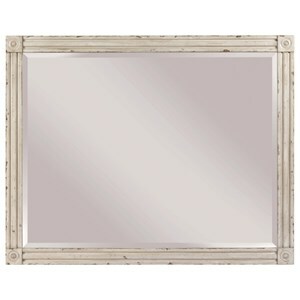 Place the chest in a living room to use as an accent table, or put in a bedroom to use as a dresser. 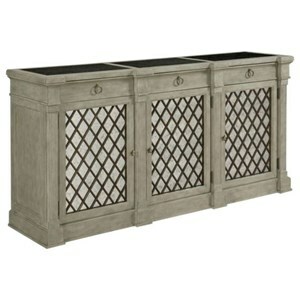 The top six drawers offer storage for smaller items like makeup, jewelry, socks, ties and other accessories. 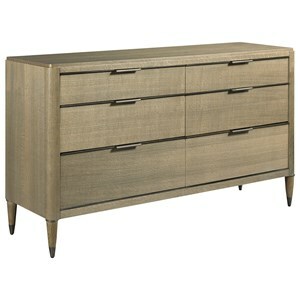 The six bottom drawers are well suited for larger items, like sweaters, jeans and other clothing. Welcome warm island style and ample functionality into your master suite with this dressing chest from the Grand Isle collection. Crafted from maple and burl ash solids and veneers, this dressing chest showcases carving and fluting details handsomely warmed with an amber finish. The dressing chest includes two doors with three adjustable shelves behind each and six drawers of spacious storage where t-shirts, jeans, socks, and light sweaters can be tidily tucked away. Celebrating over 80 years in the furniture industry, American Drew is a premier manufacturer of high quality and high style home furnishings. 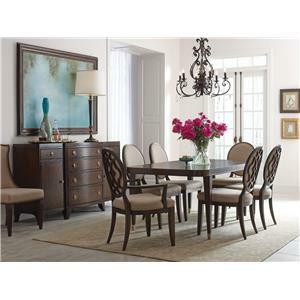 American Drew's furniture collections cover a broad variety of design style categories including traditional, transitional, contemporary, cottage, casual and mission so that you know that you are sure to find a style that you love. By integrating unique materials that add character and depth to the collections of furniture, American Drew manufactures furniture by blending together innovation, functional features, unique design elements and a definitive design perspective. This results in the creation of distinctive lines of home furnishings that have a story to tell, and that will make your house come alive with depth, charm and an expression of your personal tastes and your family's lifestyle. 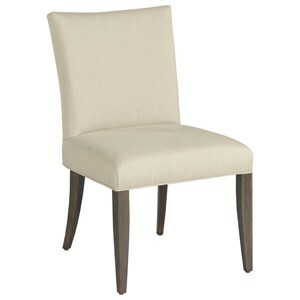 American Drew takes pride in the fact that high style, quality-built furniture can also be affordable. Each piece of furniture from every collection is designed and manufactured using high construction standards and guidelines, ensuring that every piece will stand the test of time. Collections of furniture have been exclusively designed for American Drew by influential and successful fashion designers Bob Mackie and Jessica McClintock to highlight American Drew's commitment to blending gorgeous style, unique design, impeccable construction and fashion forward details to create home furnishings that stand out from the rest because of their updated yet classic appeal. 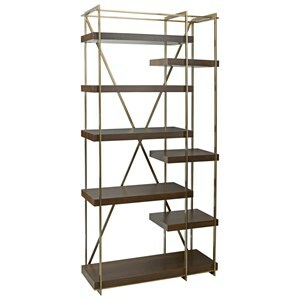 Furniture manufacturer American Drew wants your furniture to have a timeless elegance that you will continue to love and cherish as part of your daily lifestyle and home life for years to come. With American Drew furniture you can make your home a personalized expression of your family that tells the story of your history, and a place where you can truly feel comfortable and at home. 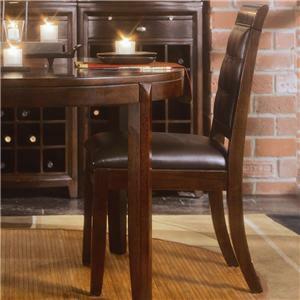 Camden - Dark - 919-707R - Round Counter Height Pub Table 42"
Camden - Light - 920-707R - Round Counter Height Pub Table 42"